Cie Filophile - Eric Longequel and Antonin Hartz. Diabolo duet show. The company Filophile was created in 2005 by Antonin Hartz and Eric Longequel. 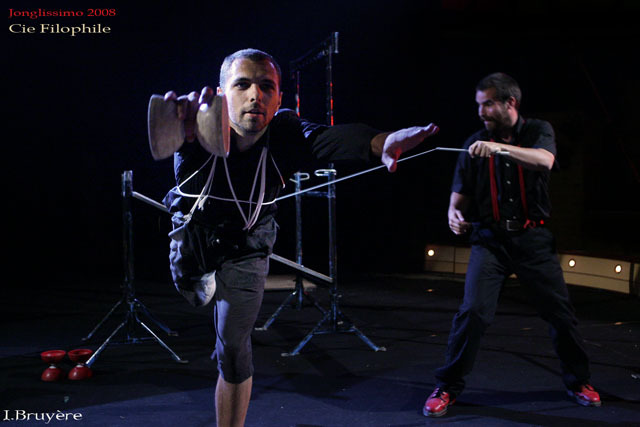 We perform and produce diabolo shows influenced by street performance, new circus and modern juggling. The company won a silver medal an the audience price at the 31st Festival Mondial du Cirque de Demain.